Congratulations, Pittsburgh! 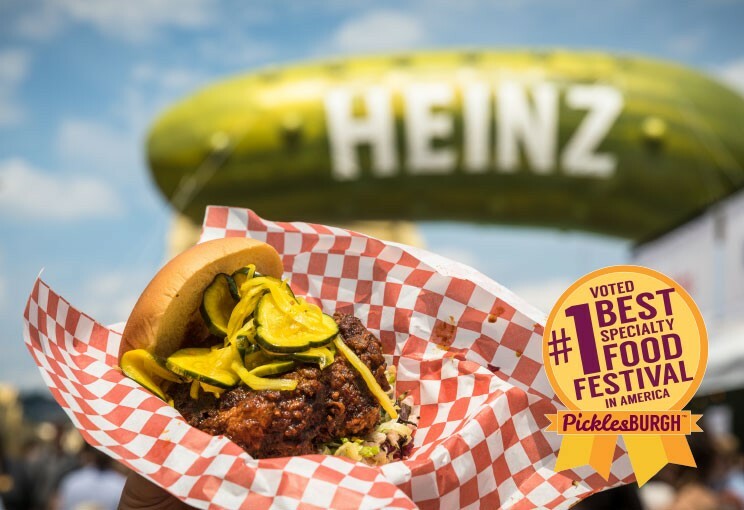 Picklesburgh is officially the nation’s “Best Specialty Food Festival,” taking the number one spot in a competition by USA Today. You could say that Pittsburgh is kind of a big dill. 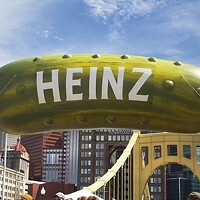 Picklesburgh took the crown from fierce competitors, like the nationwide Bacon and Beer Classic, Miami’s South Beach Seafood Festival, and the Kentucky Bourbon Festival. Pittsburghers’ diligent daily voting was a huge player in the local win. 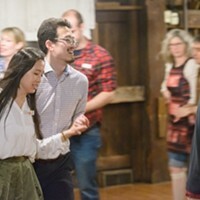 The free, three-day event will return in July of 2019 for more pickle fun. 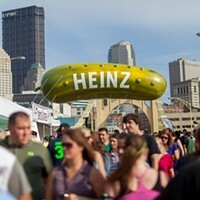 Dates for this year’s Picklesburgh will be announced in the coming weeks. Wigle Whiskey is officially seven years old! And, the distillery is celebrating in the best way possible: they’re bringing back port rye whiskey. After the spirit’s debut in 2017, Wigle fans have been asking for a port rye revival. Two years later, Wigle has finally caved, lining the release up with a birthday bash. The 2019 batch of port rye features the distillery’s Pennsylvania rye, first aged in American charred-oak barrels before a transfer to Tawny Port barrels for 11 months. The end result is a vibrant whiskey, deep plum and berry notes from the port combining with the whiskey for a rich, full spirit. Pre-register for the bash online to get a free port rye sweet from Prohibition Pastries! Warm weather is coming, which means one thing: lots and lots of ice cream. The ice cream rewards card is valid at NatuRoll Creamery, Betsy’s Ice Cream, Sugar & Spice Ice Cream Parlor, Sugar Spell Scoops, Klavon’s Ice Cream Parlor, and Any Given Sundae. Every $10 purchase at any of the stores earns a stamp. Fill up the card and receive a free specialty item from any shop. To start earning free ice cream, pick up a card at any of the participating shops. Relive the days of All-American Rejects, Panic! at the Disco, and Fall Out Boy every fourth Saturday of the month at The Smiling Moose’s Emo Brunch. Sponsored by The Emo Band and Jagermeister, bust out your eyeliner and angst for this brunch. Ditch the mimosa for an “emosa,” and bloody mary for “dear bloody maria.” The menu is full of favorites, like “what’s my eggs again” (a well-balanced veggie omelette), “makehamsure” (a pretzel bun breakfast sandwich), and “misery pigness” (bacon). The Bigelow Grille, attached to the DoubleTree by Hilton Hotel & Suites in Downtown, is welcoming a new executive chef. 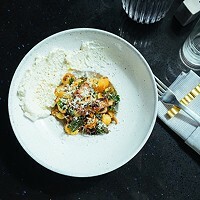 Fred Davis, most recently of the Fairmont Hotel, is taking the reins and revamping the restaurant’s menu. Currently, the menu is a mix of pasta, sandwiches, and steaks. 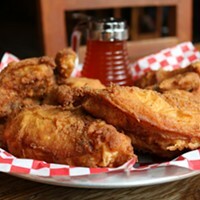 Davis plans to add flavor to the list, with dishes such as BBQ carrots and Lamb Kofta.